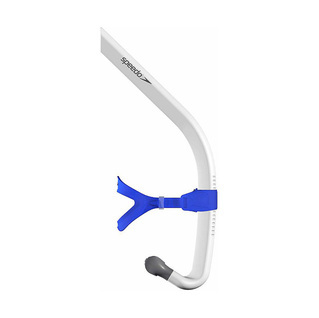 Engineered with the most hydrodynamic features, the Bullet Head Snorkel is low profile, built for high speeds, and ideal for sprinters looking for stability in their training snorkel. Minimalist design promotes excellent stability at high speeds. Flexible TPR head band for comfort, eliminating headaches and pinching. Low profile shape offers maximum vision and drag reduction. Adjustable head band with notches on the tube for consistent fitting. 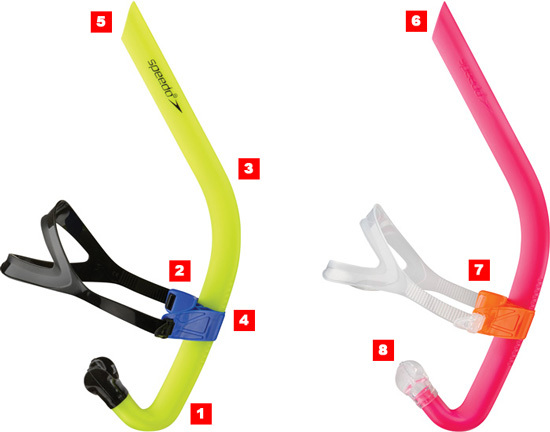 Tear-drop shape enhances stability as the snorkel cuts through the water. Smaller tube opening reduces air flow, improving lung capacity. Premium silicone headstrap with a split strap design for stability and comfort. Removable silicone mouthpiece for easy cleaning. 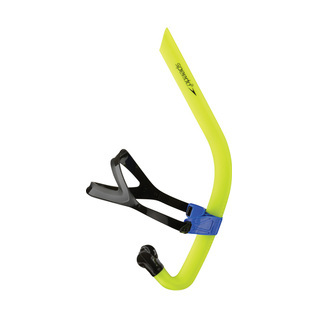 I can only give a good rating as my teenage daughter has yet to use this Speedo Bullet Head Snorkel (black color) for swim practice. Her team has not yet been asked to use, especially since they are just starting their spring session. Once she uses it, I can update my review. This snorkel is nothing special. a little expensive for what it is. please getting it to Canada is not pretty.